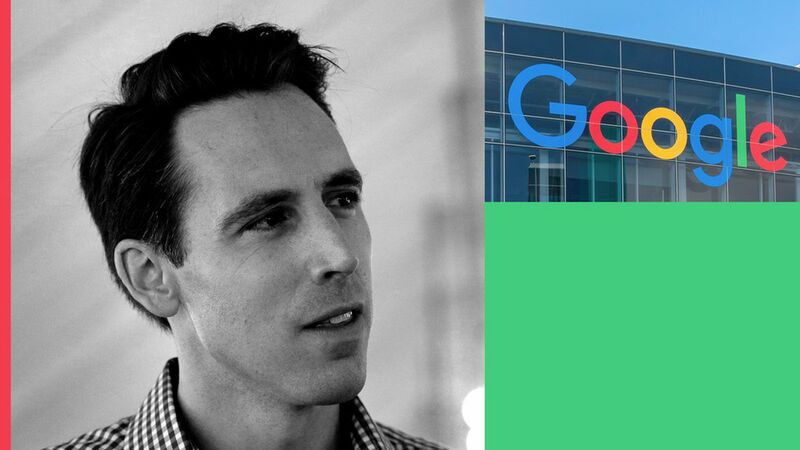 Missouri Attorney General Josh Hawley recently announced an investigation into Google's practices around customer data and competition, a major step for a state law enforcement agency interested in Google's vast trove of personal user information. Up-and-comer: Hawley, who is running to challenge Democratic Sen. Claire McCaskill in 2018, said his probe was sparked in part by the Equifax data breach, which underscored the amount of personal information consumers have to give up if they want to use platforms like Facebook and Google. He added that his thinking on the issue hasn't been influenced by Peter Thiel, a Facebook board member and advisor to President Trump, who donated $300,000 to Hawley's 2016 AG race. What McCaskill says: Asked about Hawley's probe, McCaskill said that it was fine, but wanted to make sure that more traditional cases of fraud "aren't being pushed to the side." Hawley defended his office's record in policing fraud. What was the moment you decided your office should look into Google? I don't know that there was one particular moment but there are several data points along the way. One was the action taken by the European Commission in levying a pretty significant fine for antitrust violations. We thought that that was significant and gave some credence to those. Frankly, the Equifax security breach was significant. Something my office is involved in in a different way, but it's significant, I think, for really opening people's eyes to just how much personal information is out there held by tech companies and credit scoring companies and others — and how vulnerable that information really can be. What do you hear from constituents about this? That people are deeply concerned about the safety of their personal information. In the information age this sort of private confidential data — what sites we shop on, what search terms we use, what is in our email, what flights we're taking — these are the kind of things that consumers are deeply concerned about that get to the heart of consumer identity as they're in the marketplace. And what I hear over and over from people [is] they're deeply worried about what is being collected, who has control of it and what might be being done with this information. Should other companies that collect personal information — like Facebook and Amazon — be investigated in the same way? It is our firm belief and, I think, Google's too, that no company in the history of the world has collected more personal information about its users than Google has, so beginning there, I think, makes a good deal of sense. That said, I do hope that one of the effects of our effort will be to spark a broad conversation about just how much personal data a consumer is expected to trade in order to interact with these internet-based platforms. Will this be part of your campaign trail message? Well, it's certainly something that we're going to be working on in the office and obviously I believe that what we're doing in the office is important. So again I would just say whether it's attorneys general or other law enforcement officials, I think that this is something that voters care deeply about. But it's something more fundamentally that consumers care deeply about because it affects their everyday lives. … We would be moving forward with our initiative as it relates to Google and our investigation whether or not I was seeking any other office. Peter Thiel has been critical of Google and donated to your campaign for attorney general, sparking speculation he might be influencing this probe. Have you ever met him personally? Have I met Peter? Yes, I have. Have you ever discussed this issue with him? We have not discussed the Google investigation or Google practices. Have you discussed antitrust in tech or antitrust broadly with him? I don't believe so. … I would also add that I don't make my decisions based on what individual supporters or others want me to do.